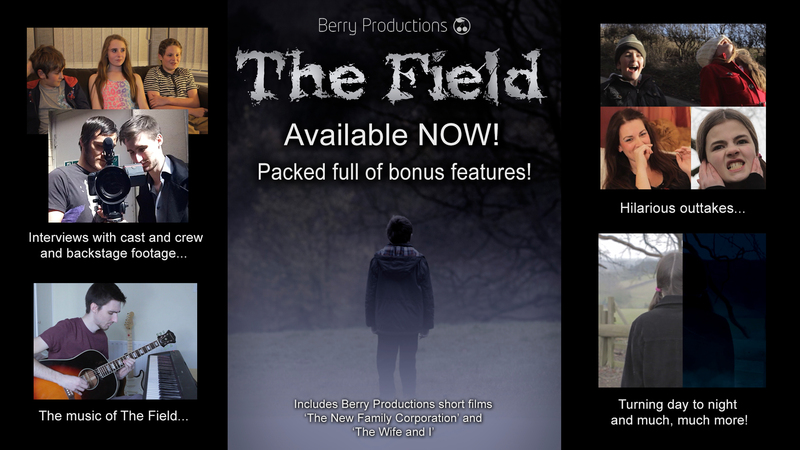 ← The Field on DVD – available now! Supernatural Horror Film ‘The Field’ On DVD Now! Our 45 minute film ‘The Field’ that was completely self funded, is available to buy on DVD now for £5 (plus postage)! All the money we raise is going towards our next film! Like what you see? Help support independent film and ‘Dare To Do The Challenge’ by getting your copy now! Posted on November 18, 2014, in Our Films and tagged acting, berry productions, buy, city of culture, DVD, east yorkshire, fantasy, field, film, filmmaking, horror, hull, inde film, independent film, Movies, Short film, supernatural, The Field, uk. Bookmark the permalink. Leave a comment.